We are talking with Alan Cowin, Operations Manager at Netcetera - one of Europe's leading Managed Cloud Hosting and Datacentre providers. HOSTSEARCH: Alan - Thank you very much for taking the time to talk with us. Perhaps you could introduce yourself and give us a general overview of Netcetera and its products. ALAN COWIN: Netcetera is one of Europe’s leading Web Hosting providers, with customers in more than 75 countries around the world. We’ve been providing hosting services for over 18 years. From single servers to fully customised datacentre suites, we help businesses of all sizes to focus on their core business instead of managing servers, networks and firewalls, often at a significant cost savings. The hub of all our activity is The Dataport, a recently developed multi­million pound world­class datacentre facility in the Isle of Man with 700+ rack hosting capability. It offers an exceptionally highly specified infrastructure, built around privacy, security, resiliency and reliability. Since Netcetera launched in 1996, we have launched a wide portfolio of products built around our core cloud and hosting services. HOSTSEARCH: What do you offer your customers that is unique to your company? ALAN COWIN: In addition to value for money and flexibility, we are extremely proud to say that we’re one of the very few datacentres in the UK, and the only one on the Isle of Man, to become ‘carbon­zero’, that is be powered entirely by renewable energy, namely hydroelectricity. On the 1st July 2013 we adopted the Isle of Man’s ‘Green Tariff’ and have since displaced over 500,000 kilograms of carbon dioxide. This, together with smaller initiatives such as recycling all our packaging, saw us achieve our ISO14001 certification, the environmental management system standard, in August. Most importantly, all this was achieved without increasing any costs for our clients. All of our customers are presented with a carbon neutral logo to display on their website, so they can say that they too are doing their bit for the environment. As the world’s need for energy increases, Netcetera’s drive towards sustainability can only have positive implications for its future. HOSTSEARCH: From reading through your customer testimonials, I can see that they are very happy with your services and products, can you tell us your secret on how your company became this successful? ALAN COWIN: I believe the main reason for this is that, despite our size, the Netcetera customer continues to receive a very personal service with no phone queueing systems and no email auto­responses. There is always a ‘voice’ at the end of a phone which proves our dedication to servicing clients’ needs in what can be quite a daunting environment. As our testimonials demonstrate, this high standard of customer service is really appreciated and valued by the end­user. We’re so confident about our fast response time that we maintain real­time support statistics online, at http://www.netcetera.co.uk/support. HOSTSEARCH: How do you market your services? How did the customers know about Netcetera? ALAN COWIN: Netcetera advertises mostly online, such as Google AdWords, BingAds, banner adverts on hosting related sites, and of course on social networking sites. We also explore offline opportunities such as national UK web industry magazines. Our current customers are great advocates for our services and as a result, we also generate business from referrals. HOSTSEARCH: As the Operations Manager of Netcetera, what group of customers are you targeting? ALAN COWIN: Netcetera is able to cater for individuals who require a shared hosting package and larger companies who require tailor­made Cloud and Datacentre solutions. In both cases, we listen to their specific requirements and always find the best solution for them according to their needs and budget. A SME is usually more interested in a cloud solution or a dedicated server, while large enterprises focuses more on clustered solutions, hosted desktops, disaster recovery and private clouds. 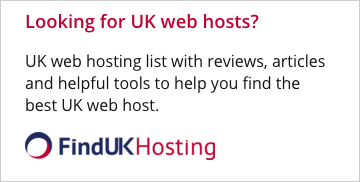 HOSTSEARCH: By locating in United Kingdom, how does your company market products and services in European market? Do you have plan to expand your market into US or globally? ALAN COWIN: Although 90% of our client base is UK based, our clients extend to over 75 countries worldwide. Our location and excellent infrastructure makes an ideal choice for European based hosting. The USA is very much a growing market; many US companies are developing an EU based operation or have concerns about the recent PRISM reports and are looking at keeping their data outside the touch of the NSA. Over the next 12 months, we have plans to extend our own Green Cloud globally. 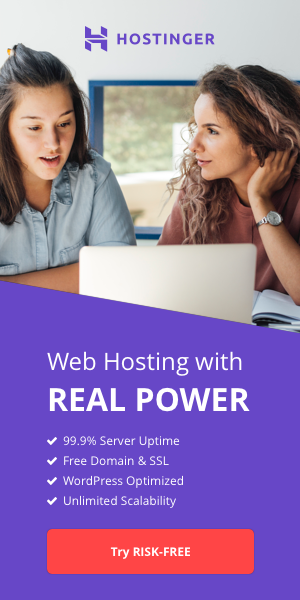 HOSTSEARCH: The things that matter most in web hosting is reliability and performance, how do you ensure the best uptime and speed to your customers? ALAN COWIN: As previously mentioned, we own and operate The Dataport, a state­of­the­art Tier 3+ datacentre on the Isle of Man. The datacentre features an exceptional highly specified infrastructure incorporating N+1 Power, featuring UPS and Generators, along with redundant cooling, VESDA fire detection, FM200 suppression systems and unmatched levels of security. Netcetera has a SLA that guarantees 99.999% server availability and in the unlikely event that a client does experience downtime we will refund 1 day's service for every 30 minutes that connectivity has been unavailable. As a result, we have been ranked as the ‘Most reliable windows hosting company worldwide’ for the months of January and February 2013, by Netcraft ­ and regularly feature in the Top 10 most months. As with the average ticket response time, we also broadcast our availability as real­time statistics on our website at http://www.netcetera.co.uk/support, and constantly aim for 100%. HOSTSEARCH: As your company listed in the Deloitte 50 Fastest Growing Technology Companies in three years running, what led you apart from the competitors in this market? 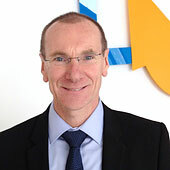 ALAN COWIN: Above all, owning and managing our own datacentre allows us to offer a guaranteed service so that we can control and manage every aspect of the service delivery ­ from datacentre to disk – which our competitors who co­locate with 3rd party data centres simply cannot offer. On top of this, Netcetera has always been a visionary company with a passion to bring new technologies to the market early, and to deliver a high standard of service to our clients with technical expertise always on hand and accessible to our customers. The reason our client base has increased over the last year is, I believe, a direct result of many factors; our high level of customer service, reliability, security, value for money, range of products, and environmental credentials. In addition to our environmental accreditation, we have strived hard to maintain our ISO9001 and ISO27001 accreditations, as well as put ourselves forward to industry awards, for example, the ISPA Awards which we won for the 2nd year running. In fact, we have a portfolio of our awards to date displayed on our website at http://www.netcetera.co.uk/about/awards/. Overall, our efforts have seen us renew long­term datacentre co­location contracts and win new clients within the UK and worldwide. HOSTSEARCH: Do you have any other changes or additions to your service this year? ALAN COWIN: We have lots of exciting things coming up which you will hear more about over the next few months. This month we have launched a new offer of three years of free cloud server management for all startups, and are promoting this in as many ways as we can, through a public relations campaign and via exhibitions such as ICE Totally Gaming in February. We’ve called it the JumpStart scheme, and it has been designed to give Start­ups a helping hand, allowing them to focus on their core business instead of managing their IT infrastructure. In early 2014 Netcetera’s new Cloud­based Shared Hosting Platform will be unveiled, and soon after we will expand The Dataport in the Isle of Man, adding another 100 racks to those we already have. We will keep you updated with further details on all these developments! HOSTSEARCH: That will be all for my questions, thanks again for your time!